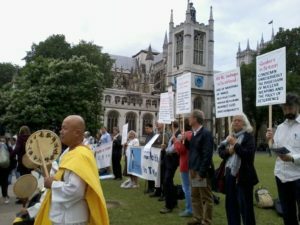 Pax Christi and other campaigners will gather from 1100 outside Westminster Abbey to protest the event. Kate Hudson, CND general secretary, said: “It’s morally repugnant that a service of thanksgiving for Britain’s nuclear weapons system is due to be held at Westminster Abbey. This sends out a terrible message to the world about our country. 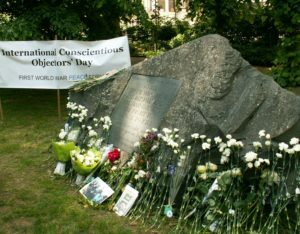 It says that here in Britain we celebrate weapons – in a place of worship – that can kill millions of people. Come and join us for a day of celebration and learning about the work of Pax Christi over the past year. 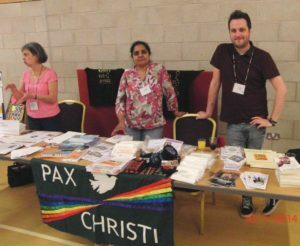 This year the AGM will include the Pax Christi Peace Award ceremony.